Redy to celebrate this years Independence day? So many activities are taking place within the Upper Valley to take part in. 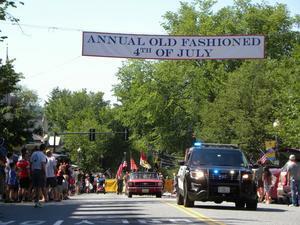 Here are some suggestions for celebrating Independence Day in the Upper Valley. Commemorate the birthday of the only president born on Independence Day. Activities start at 10am with a Naturalization Ceremony to induct new US citizens. 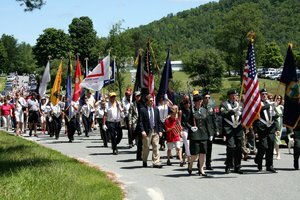 At 12pm, the Vermont National Guard will lead a march to the cemetery to place a wreath at the President’s gravesite. Afternoon activities include music from the Stringfield Springers old-time string band, a barbecue and birthday cake, historic craft demonstrations, wagon rides, and a marathon reading of Coolidge’s autobiography. The event was organized by the Calvin Coolidge Presidential Foundation and the Vermont Division for Historic Preservation. For more info, visit historicsites.vermont.gov (historicsites.vermont.gov/node/1433). 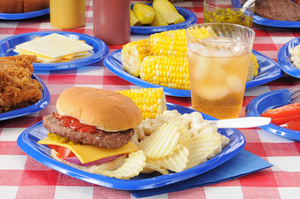 The fun starts at 6pm with a cookout and picnic including hamburgers, hot dogs, desserts, and drinks sponsored by the WUHS Alumni Association. The BorderStone Band will provide entertainment. ArtistTree/Purple Crayon Productions will sponsor craft activities, and the Vermont Volunteer Services for Animals Humane Society will offer games. The evening ends with fireworks at dusk. 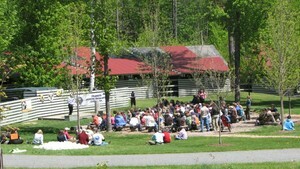 For more information, go to www.townofwoodstock.org. VINS will hold Bald Eagle Day on July 4 from 10am to 4pm. You can learn why the bald eagle is our national symbol and the status of its population in Vermont and North America. You can also help build an eagle nest—the largest bird nests ever discovered were built by . All activities are included with general admission to the VINS Nature Center. This event begins at 6 pm in Kilowatt Park. Enjoy live music, family and children’s entertainment by Pirate Man Dan and the Camp Ventures Staff, and delicious food provided by the White River Rotary. The fireworks start at dusk. The celebration begins with a tractor pull at 8am. The parade follows at 11am. Vendors and entertainment will be available after the parade behind the Rec Center. A concert by the Moonlighters Big Band starts at 7pm followed by fireworks at 9pm. West Windsor Old Home Day, July 4th. The festivities start at 7am with a pancake and sausage breakfast at Brownsville Church. At 8am there will be a book sale at the Mary L. Blood Library. Then, from 10am to 2pm, there will be community games offered at the Albert Bridge School and crafts, a white elephant sale, and food sales at the Town Hall. Live music by the Firehouse Six Dixieland Band will take place at the library. The parade starts at noon. 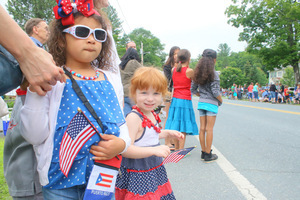 The parade will begin at 10am, followed by activities on the green from 11am to 1pm. 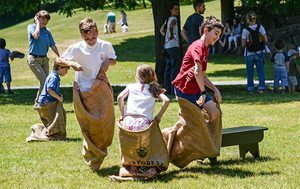 The fun includes games, a pie-eating contest, pony rides, crafts, and entertainment. For more information, go to www.hanoverrec.com. 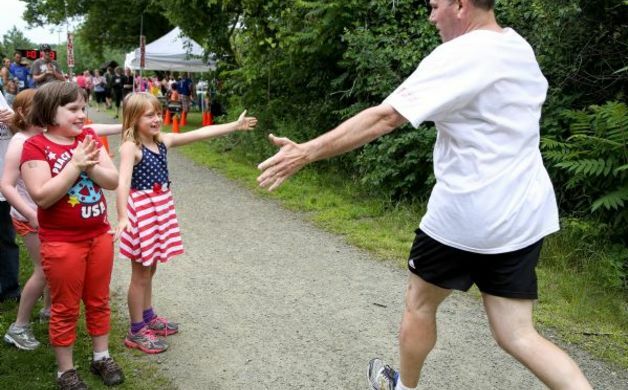 Start your day with the Red, White & Blue Fun Run, a 10k, 5k, or 1-mile fun run along the Rail Trail and Mill Road. The fun run begins at 9am. 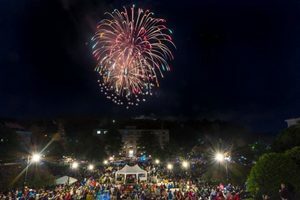 That evening there will be a concert by The Flames at 7pm in Colburn Park followed by fireworks at the Storrs Hill Ski Area at dusk. The Lebanon Outing Club will sell $1 popcorn and $1 water just inside the lodge. Get all the details at lebanonnh.gov.